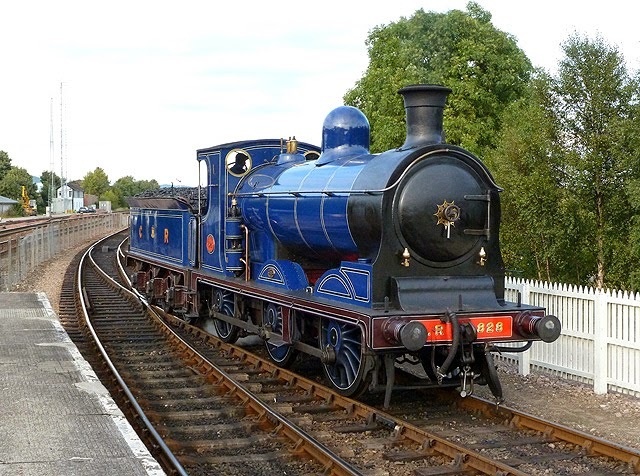 Thomas the Tank Engine and the rest of his friends are not the first and by no means not the only story to feature living locomotives. Most of us, as children or in the process of entertaining our won children, have encountered Tootle the Train, Chuggington, The Railway Children, and others. None of them, though, have endured through time into the same sort of pop cultural icon that Thomas has. 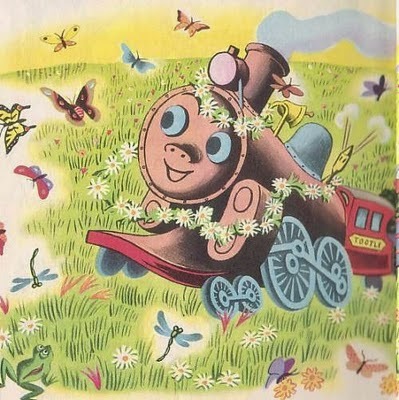 The Railway Series sprouted up from the same source as many other children's stories that have found a place our hearts. The Reverend Awdry, a wiry Andy Worhol lookalike known to have a bit of a cantankerous disposition, though up a number of stories about living steam engines to entertain his son Christopher as he recovered from the mumps. He chose their now-familiar names off the cuff: Gordon, James, Henry, Edward, Thomas, and all the rest. The Reverend dedicated as much passion to studying the British railroads as he did the holy scriptures, though, and after a few years he had fleshed out enough of these stories that his wife encouraged him seek out a publisher and illustrator. The first volume was published in 1945, and contained four separate stories focusing on Henry, Gordon, and Edward. Thomas himself did not appear until the second volume was published the next year. 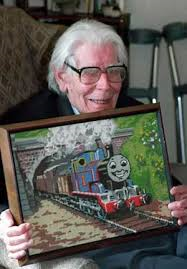 Reverend Awdry publish a total of 26 books, averaging one every year, with an additional sixteen written and published by Christopher. The television series that eventually resulted tended to follow these stories almost to the letter, with only minor changes such as revising the dialogue or changing the color of a minor character. butterflies to make a Disney Princess jealous." inspiration for Thomas the Tank Engine himself. 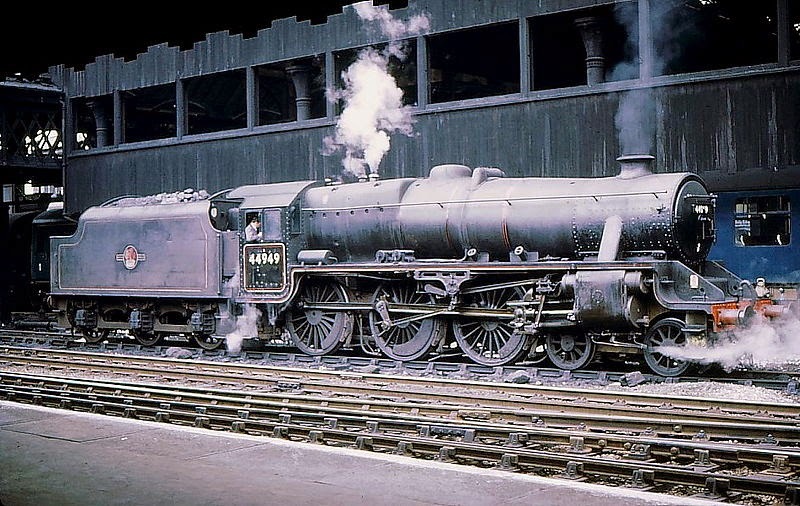 Henry--AKA a LMS 5MT "Black Five". 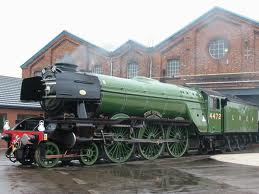 find a more beautiful steam loco. 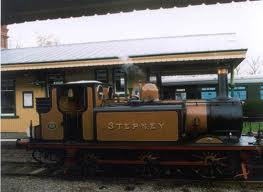 Some of the characters, such as Stepney, were bolt-for-bolt importations of locomotives that existed in real life, and on two occasions, locomotives famous beyond railfanning circles--the City of Truro and the Flying Scotsman--visited the Island of Sodor. After 36 volumes, the geography, history, and lives of the non-mechanical inhabitants of the Island of Sodor had reached almost Tolkienesque levels. Keeping continuit between so many different stories required making detailed maps of the island and keeping a record of of every physical feature along the tracks. The Revered Awdry also attempted to make the railroads on Sodor function as realistically as their real-life counterparts. Many of the stories based their plotlines off of known pitfalls of railroading at the time, such as engines having trouble ascending hills or losing some of their freight cars on the incline, engines accidentally running away without their crews, and different kinds of coal resulting in the engines performing differently. Often, unusual but true events that the Reverend encountered in newspapers and magazines or was told by railroad employees became Railway Series plotlines in and of themselves. These often became some of the more humorous stories--remember the one where Thomas got a craving for pancakes, or when James got sick after a strong wind spun him on the turntable?--but also made for some harrowing moments in the books and on the show. The scenes of the mechanical characters wrecking and derailing are sad enough on their own, but many of the real accidents these stories were based on claimed human fatalities--14 people died in the real-life version of the The Flying Kipper--or, at the very least, required the locomotives involved to be permanently taken out of service. That's a blowtorch, and the engine knows it. 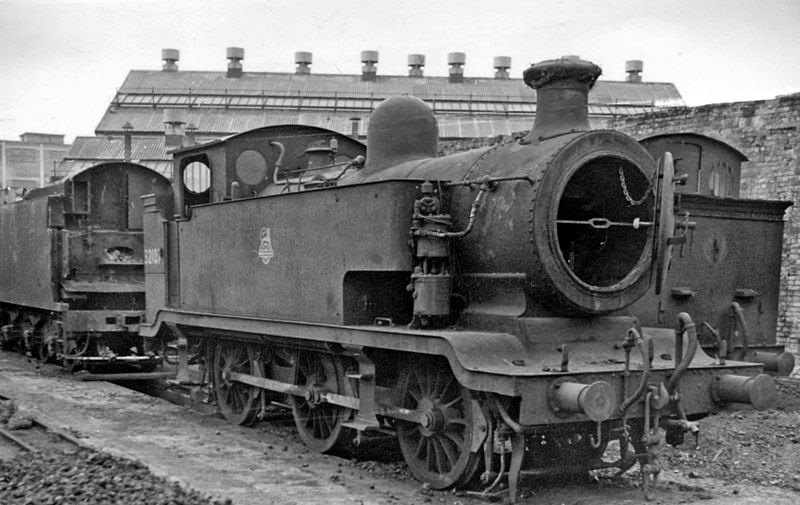 By the time the fifth or six Railway Series book was published, the transition away from steam was underway. The Reverend did not shy away from using his stories as a veiled criticism of the British Railways' Modernization plan. 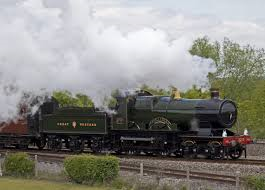 Many of the stories enforce a sense of competition, even animosity, between the steam-powered characters and the diesel-powered ones, who know full well that they are the future and the solution to all the inherent drawbacks of steam traction. Some of the stories such as Escape and Donald and Douglas/The Deputation feature characters that have come to Sodor as refugees and state in clear terms that they would have been scrapped--killed--in the same way as all the other steam engines that remained at their previous home. Write that same plotline, but with human characters, and you basically have Schindler' s List. And the seven words you can't say on the railway are...? In the early 1980s, the Railway Series was picked up for a television show that was produced by Britt Allcroft and David Mitton. It aired first in the United Kingdom, then was- distributed in United States by PBS. 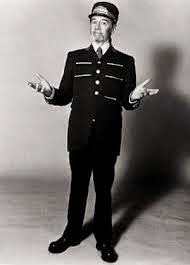 The series was narrated by ex-Beatle Ringo Starr for the original run, then, in arguably one of the oddest casting choices in history, George Carlin redubbed the show for the overseas release and played Mr. Conductor in the PBS spin-off Shining Times Station. For many involved in the production, the production of the Thomas show must have been a dream job. The show was produced entirely with model railroads, on an incredibly large and technically complex layout that occasionally involved scenes with water, snow, and night scenes. Check out some behind-the-scenes videos here, and here. With the show, of course, came an incredible array of merchandise. Thomas and his friends have decorated almost every imaginable type of product--from clothes, to bedding, to bathtub squirters. There were also number of runs of model trains based on the characters, ranging from children's toys to high-quality electric models designed for professional model railroads. My family counts among its heirlooms an entire plastic tub of well-loved ERTL die-cast models. I'm knocking on thirty's door, and still look back fondly on the adventures of Thomas and his compatriots, more so than almost any other show I watched as a child. On reflection, it does not stick with me simply because it is a relic of my childhood, or because I was precocious enough to appreciate the show's technical accuracy. The appeal is simple, and timeless: The books and the show were created by people who loved the railroads for what they were. They saw the beauty of the system functioning, cataloged the perils of it breaking down, and understood that even if the locomotives are not literally imbued with souls and consciousness, they do have distinct personalities. This is what had so endeared us to the short, stumpy engine. Like those fleeting glances of the fire at a locomotive's heart, the creators' passion shines through the plotlines and the illustrations, and no matter the subject, passion is at the heart of any good fictional work. Images from this article are from Wikicommons, except where noted. 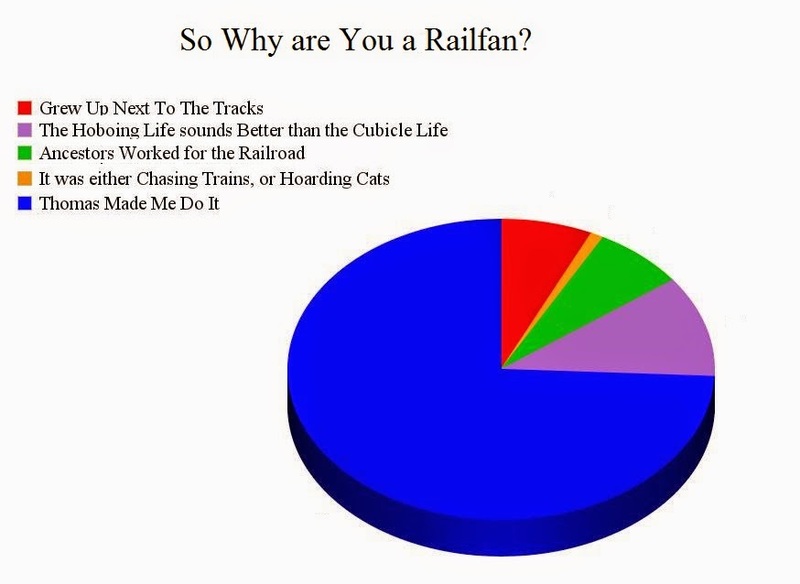 Most of the information was sourced from The Railway Series itself, from the show, and from The Real Lives of Thomas the Tank Engine: A Railway Series Reader. It's a great sight--go read it. * The entire history of the Island of Sodor is chronicled in a rare book published by there Reverend, entitled The Island of Sodor: Its People, History, and Railways. Christopher Awdry updated events that had happened on the fictional island since 1996 in Sodor: Reading Between the Lines. Additional unpublished information about the island found its way into The Thomas the Tank Engine Man, a biography of Reverend Awdry. ** The Skyrim mod was awesome, though.